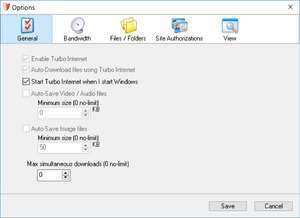 Turbo Internet Accelerator is a software download that corrects two of the most famous Internet problems: slow connection performances, undesirable disconnections. Also, the application currently includes other useful features. Turbo Internet Accelerator saves a lot of time, money and frustrations. It's a tool for everyone who uses an Internet connection. Version 2.8 is a freeware program which does not have restrictions and it's free so it doesn't cost anything. For security reasons, you should also check out the Turbo Internet Accelerator download at LO4D.com which includes virus and malware tests. Additional screenshots of this application download may be available, too. Featuring the very best in free internet optimizer downloads. Editing staff adds reviews and free download links and constantly updates software. Check out some of the freeware downloads available in the internet optimizer category. They contain no strings and are available at zero cost. 5 out of 5 based on 3 ratings. Turbo Internet Accelerator has a presence on social networks.